The Open is more than a golf tournament. It’s more than its rich history and glorious victors, the multimillion pound paycheck and adulation of the fans. It’s a war. Soldiering through swirling wind, driving rain and relentless, remorseless pressure, Britain’s links courses are a battlefield where only the truly resilient emerge as champion. Over the years, we have seen rank outsiders beat the odds to land the Claret Jug, and some of the greatest of all time outlast the competition to come away victorious. Once in a rare while, though, we witness a golfing spectacle that transcends the sport. 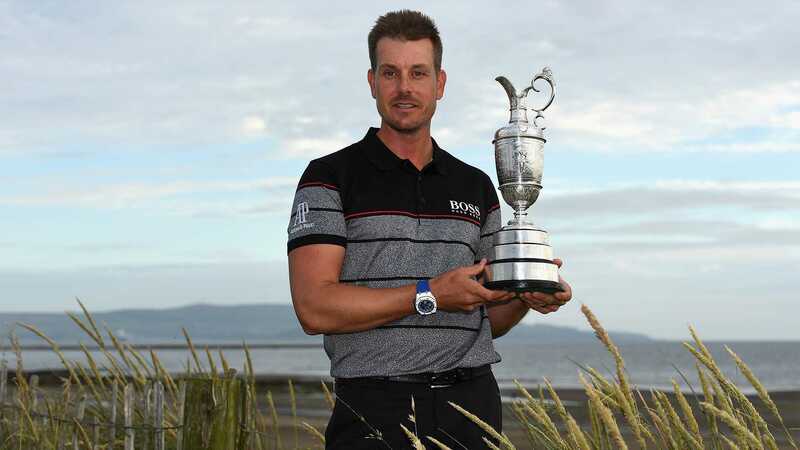 In 1977, there was the Duel in the Sun – a blockbuster classic in the scorching heat of Turnberry between Jack Nicklaus and Tom Watson – but just two years ago we witnessed another vintage contest in the shape of Henrik Stenson and Phil Mickelson. Or, as it will forever be known, The Duel at Troon. 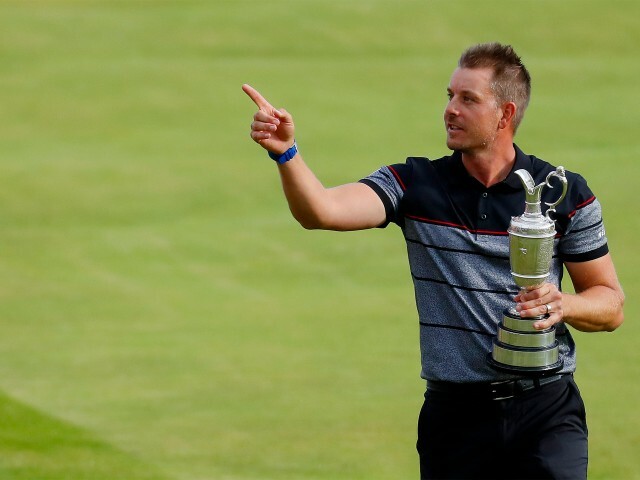 The Open is a pendulum that swings from one player to the next, daring golfers to grasp the opportunity or watch it slip through their fingers, but here were two of the modern game’s finest competitors both refusing to let go of the Claret Jug. You couldn’t write it any better. 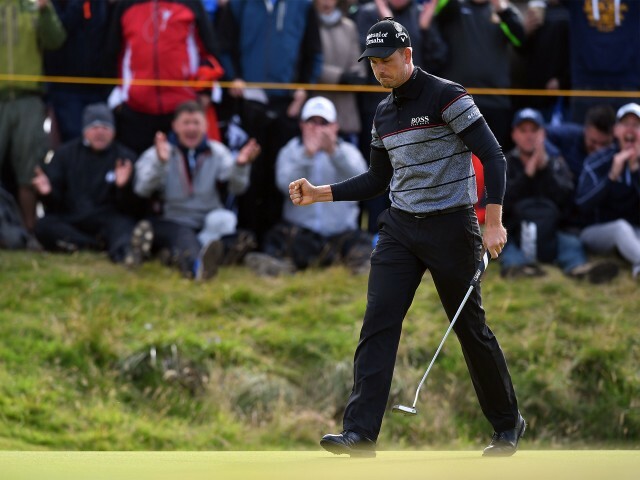 In the end it was Henrik Stenson who walked away as the 145th Open Champion. 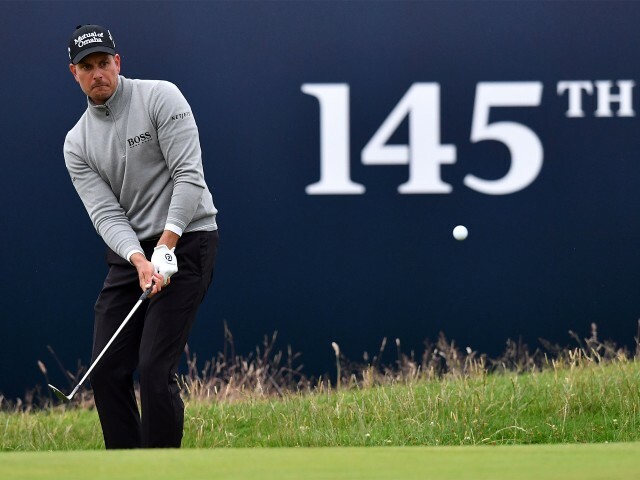 The unflappable Swede had to shoot the lowest overall score (264) in major championship history to overcome Mickelson, but his combination of scintillating iron shots and rock-solid putting proved the difference. 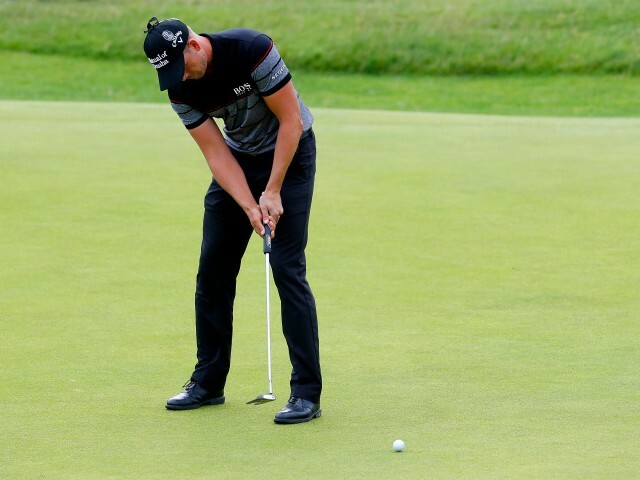 In 2018, we have already seen Stenson’s superior ball striking pull him into the top ten of both The Masters and the US Open. Is he coming into form at just the right time? You certainly wouldn’t bet against the BOSS Ambassador from coming back to Scottish soil to raise the Claret Jug once again. I was very calm, I was focussed. My preparation was great before the Scottish Open the week before: I got to look at Troon and played it a few times, so I had a good plan on how to play my way around the course. My game was in good shape, too. I came off an important win a couple of weeks earlier at the BMW International Open in Germany, which was my first win for a couple of years. That was a big confidence boost for me. The picture I have in my mind is holding the Claret Jug on the 18th green after the presentation. The champion always gets his photo taken in front of the press and I was sitting down in one of the bunkers around the putting surface. Just that image that you’ve seen so many times before as a junior golfer when you’ve watched the Championship on TV and the winner hoisting the Claret Jug up into the air, and receiving the appreciation from the fans. I could see that so clearly when it was finally my turn to do that. It was a very proud moment. When I made that huge 51-feet putt from the fringe on the 15th hole. I had just birdied the 14th to move one ahead of Phil – and then I made this absolute bomb from the edge of the green all the way across. I think he realised at that time he was in pretty big trouble. It gave me a two-shot lead with three holes to go – it was still not over but that was really the moment that edged me ahead and gave me a comfortable lead coming into the final holes. Just felt like a big relief. You feel a mixed bag of emotions when you fight so hard over the week – and then all of a sudden you’re in the winning position and have managed to get it over the line. Before that moment you can’t let your mind race ahead of you. You’ve got to stay focussed and stay in the moment. I didn’t know that I broke the tournament record with that birdie on the 18th. To be fair, I was as much in the zone as I’ve ever been playing those last five holes. I made four birdies in the last five and I didn’t even know what score I was on. I just played each shot as its own – ‘one shot at a time’ as the cliche goes. We were paired together in the tournament, and had a bit of a wait out on one of the holes. Phil said: “You know, you’re hitting the ball great. I definitely think you’ve got the game to win a major.” I appreciated the positive feedback on my game, but I said to him that I’m sure he’d be OK with that as long as it wasn’t at his expense! It’s quite ironic that in the end it was Phil that lost out. For me to win my first major in those circumstances is pretty spooky. Controlling your ball flight. You’ve got to be hitting the ball really good to have a handle on your height and spin on your approach shots, and then off the tee in the wind you want to keep the ball a bit lower. If it’s dry and the fairways are running, you really want to hit a low stinging ball. I can do that pretty well with my three wood, but I’ll also hit a lot of two irons off the tee and the occasional driver for when it’s blowing really hard and you need the distance. It’s tight in certain areas and, when the wind is blowing hard, it plays pretty long too. Of course, it’s got a dangerous finishing stretch from 15 through to 18. They’re difficult holes coming in and you’ve got to be accurate with your longer clubs and, again, keeping your ball flight under control. Links golf is great fun: you can be really creative around the greens, you can hit low shots, high shots, you can run it along the ground or even putt it. There’s no right or wrong way to play a particular shot, you’ve just got to find the best way for you and execute it as well as you possibly can. I wouldn’t say I’m quite up to the standard of 2013 [2nd at The Open] or 2016, but my game is in decent shape and I’m not far away. I have had some really solid tournaments over the first part of 2018 – and coming off a fifth and sixth at Augusta and the US Open, I feel like I’ve done a lot of good stuff. It might just be that little extra 10-15% that needs to click in and then I hope I’ll be able to challenge at The Open. They’ve always been very supportive of me and my game. When you’ve been together for such a long time you go through some good times and bad times, but they’ve always been there no matter what. I’m also able to give them input on the gear that I use out on the golf course. If I feel like there’s something that we can improve, I give them some feedback and we can make those small changes. It’s hard to put a number on how much better you’re going to play when you feel good and look good, but it certainly helps. It just feels very natural for me to wear BOSS these days – it’s a great relationship.